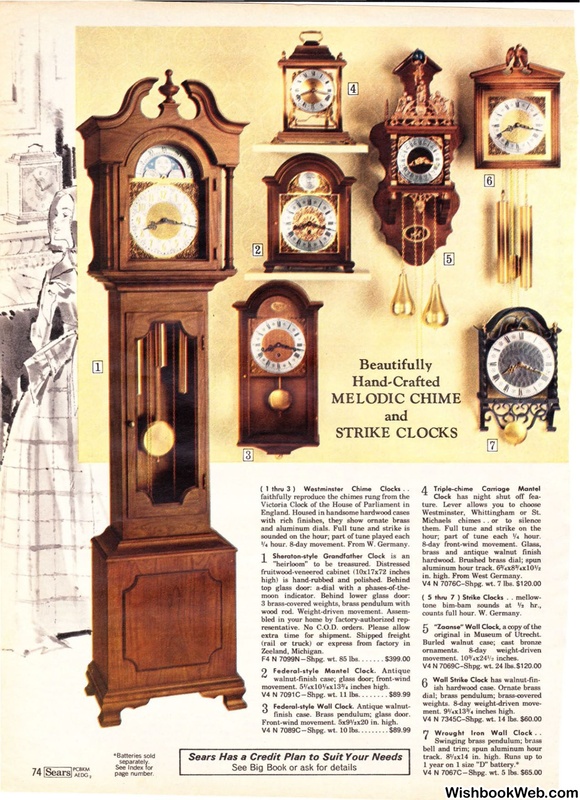 ( I thru 3 ) Westminster Chime Clocks . .
hour. 8-0ay movement. From W. Germany. finish case. Brass pendulum; glass door. Front-wind movement. 5x91/u20 in. high. in. high. From West Germany. counts full hour. W. Germany. original in Museum of Utrecht. ment . 9'1.xl3o/• inches high. Wrought Iron Wall Clock ..